I had in mind the color of old school exercise books- the ones that weren't kraft paper colored, but a blue/gray/green color. 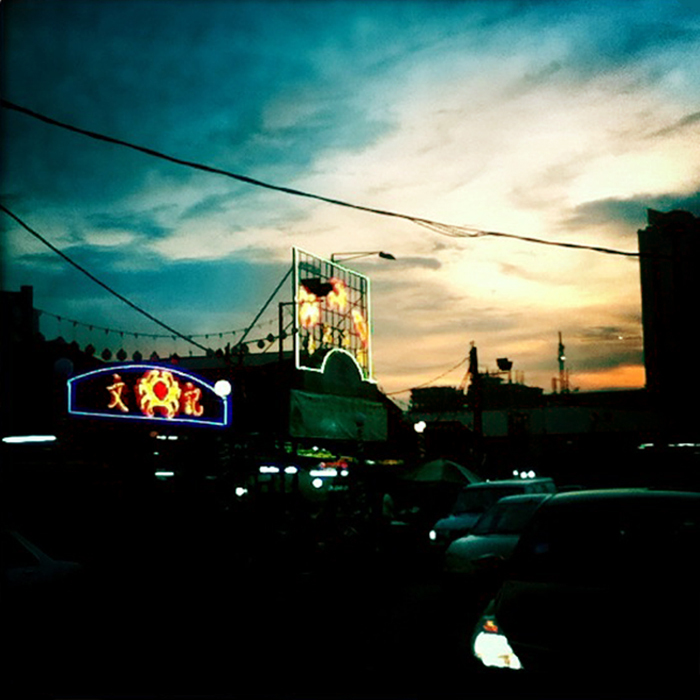 It hovers between eau de nil and duck egg blue and grayed by time. 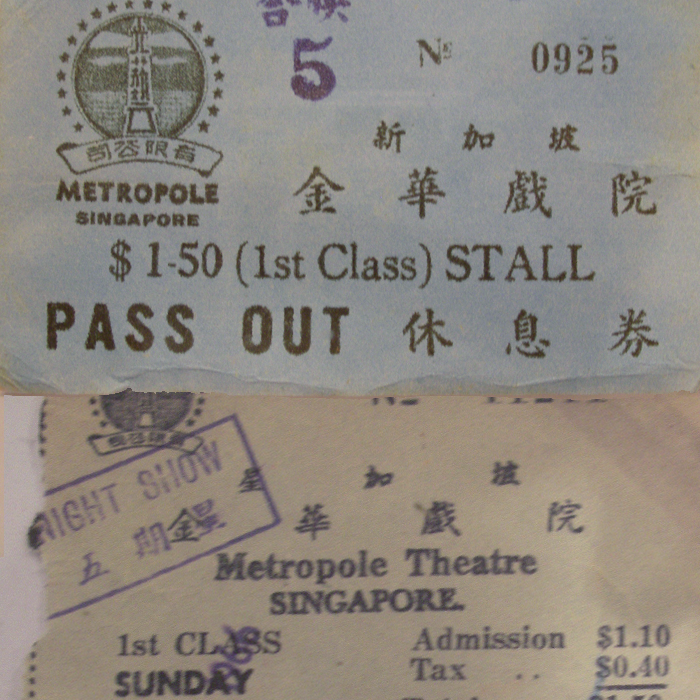 When I visited the exhibition about the golden age of Singapore Cinema at the Singapore Art Museum, I was reminded that these colors were also the color of old cinema tickets which I photographed and became the resource that helped to develop the background 'paper' image for this site. 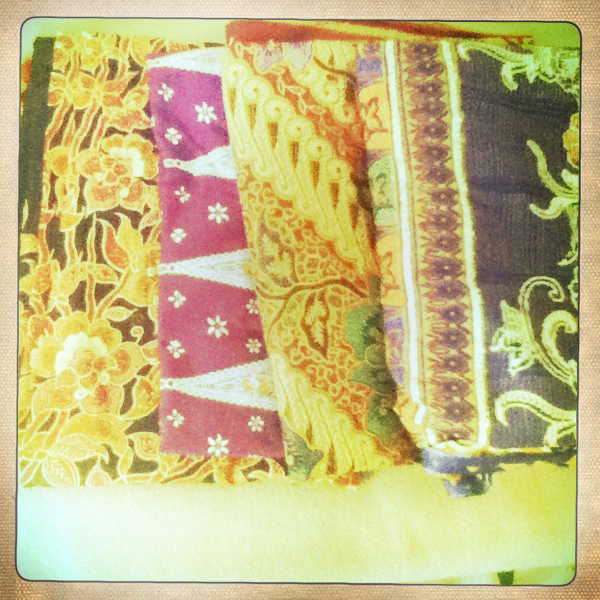 My growing collection of batik sarongs bought from the supermarket.